Payment must be made by the 2nd class, however consent form is to be signed in the studio before the 1st class. 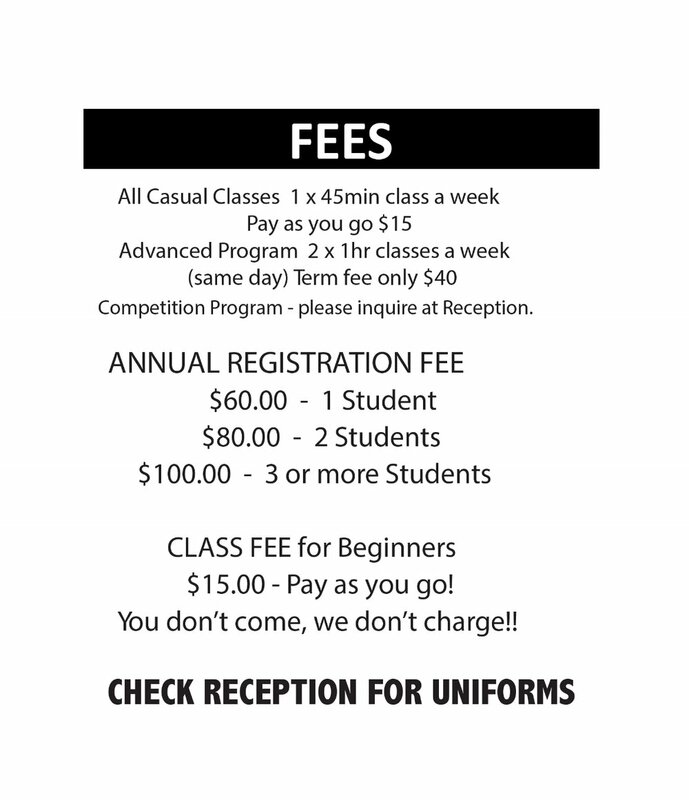 The Funkett program is a term fee. Students will receive an invoice via email, before term commences. This fee will be due prior to the first class. Your child will not be able to participate in classes until your account has been paid in full. As of 2016 there will be no part payments allowed for Funketts. Please note all payments will be by direct deposit only. The only reason your term fee may be reduced is if the student has become unwell and provides a medical certificate, therefore holidays and other commitments will not be deducted. Level classes are a pay as you go system. This means that if your child is in class he or she must pay for the lesson prior to it beginning in order to participate. Payments at the end of the class or the following week will not be accepted in 2016. Students are to wear the correct uniform appropriate to the dance genre of their class. In addition to uniform students must present themselves for class with neat and tidy hair (ponytail or bun depending on genre). Students MUST have a water bottle and hand towel with them at every class with their name marked clearly on both items. No excessive jewellery is to be worn during class, for example chokers, dangly earrings or bulky bracelets and watches. Students are required to be ready for class five to ten minutes prior to start time. Parents are not permitted to sit in or view classes. We ask that you do not double park outside the studio, as it is illegal and extremely dangerous to our students. This is a 5min drop off/pick up zone only. Teachers will remain with students until they have been picked up. The Salvation Army next door have allowed us to share their carpark, however if they have a function on, please do not park there. For the safety of students that have nut allergies, the studio is a nut free zone. For the safety of our asthmatic students, we request that aerosols not be sprayed inside the premises. No shoes to be worn in Studios other than dance shoes and foot thongs. No food or drink in Studios.